There are a lot of academic journals focused on the broad topic of computers and society. Some are more focused on psychological considerations, while others are focused on ethics, or law, or politics, or all of these. Below we have provided links to many of the key journals in this area categorized broadly by the type of discourse prevalent in most articles in the journal. The categories below are quite broad, and it should be noted that this field of study is often characterized by inter-disciplinary research. The Journal of Information Technology & Politics examines how information technology (IT) impacts politics and government, how politics and government influence the development and use of IT, and how IT can be used to advance research and education. 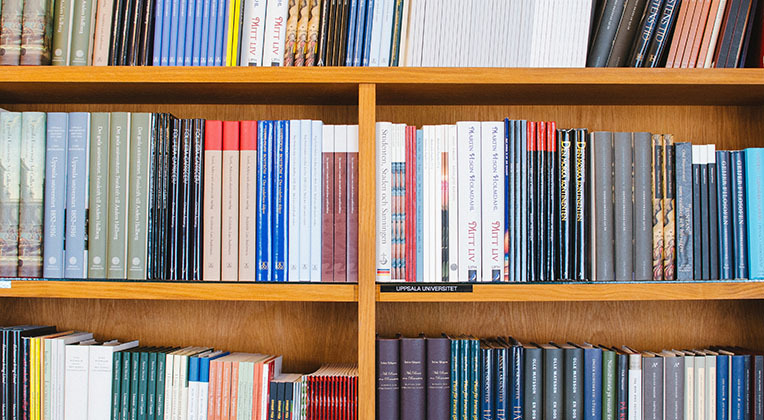 The journal’s primary disciplinary home is political science, but regularly features contributions from scholars in related fields such as communication, sociology, economics, geography, and law. Published bi-monthly, Social Science Computer Review (SSCR) is an interdisciplinary journal covering social science instructional and research applications of computing, as well as societal impacts of information technology. History and Technology is a world-leading international forum for research on technology in history. Technology – as knowledge, practice, and material resource – has been a key site for constituting the human experience. It has been central to the making and transformation of societies and cultures, on a local and transnational scale, in the pre-modern and modern eras. The journal publishes historical contributions on any aspect of technology in any period in history but encourages research that critically analyses the concept of technology while emphasizing its importance for a better understanding of history. Technology and Culture, the preeminent journal of the history of technology, draws on scholarship in diverse disciplines to publish insightful pieces intended for general readers as well as specialists. Subscribers include scientists, engineers, anthropologists, sociologists, economists, museum curators, archivists, scholars, librarians, educators, historians, and many others. In addition to scholarly essays, each issue features 30-40 book reviews and reviews of new museum exhibitions. Techné: Research in Philosophy and Technology is a peer-reviewed forum that serves the need for sustained philosophical reflection on our technological world. The journal is devoted to the philosophical analysis of technological systems and to reflections on the art, craft, science and engineering of making things and getting things done in the world. It considers the nature and structure of technology as well as its implications for human subjectivity, for the norms and values of societies, for the ecology of a peopled planet. This compelling journal publishes articles on an array of topics pertaining to various moral issues and conduct. From the ethics of Caller ID to transmission of sexually explicit materials via Internet, the information age presents a barrage of ethical challenges. In this acclaimed twice-yearly journal, some of the brightest and most influential figures in the information sciences confront a broad range of these transdisciplinary issues. Addresses the expanding scope and unprecedented impact of technologies, in order to improve the critical understanding of the conceptual nature and practical consequences, and hence provide the conceptual foundations for their fruitful and sustainable developments. The journal welcomes high-quality submissions, regardless of the tradition, school of thought or disciplinary background from which they derive. Introduced in 2007, NanoEthics: Ethics for Technologies that Converge at the Nanoscale provides a needed forum for informed discussion of ethical and social concerns related to nanotechnology, and a counterbalance to fragmented popular discussion. While the central focus of the journal is on ethical issues, discussion extends to the physical, biological and social sciences and the law. NanoEthics provides a philosophically and scientifically rigorous examination of ethical and societal considerations and policy concerns raised by nanotechnology. The International Journal of Law and Information Technology provides cutting edge and comprehensive analysis of Information Technology, communications and cyberspace law as well as the issues arising from applying Information and Communications Technologies (ICT) to legal practice. The journal is focused on social science research about cyberspace. It brings psychosocial reflections of the impact of the Internet on people and society. The journal is interdisciplinary, publishing works written by scholars of psychology, media studies, communication science, sociology, political science, nursing, ICT security, organizational psychology and also other disciplines with relevance to psychosocial aspects of cyberspace. The Journal of Computer-Mediated Communication (JCMC) is a web-based, peer-reviewed scholarly journal. Its focus is social science research on communicating with computer-based media technologies. Within that general purview, the journal is broadly interdisciplinary, publishing work by scholars in communication, business, education, political science, sociology, psychology, media studies, information science, and other disciplines. Human Communication Research concentrates on presenting the best empirical work in the area of human communication. The journal works to advance understanding of human symbolic processes with a strong emphasis on theory-driven research, the development of new theoretical models in communication, and the development of innovative methods for observing and measuring communication behavior. The journal has a broad social-science focus and as important applications to scholars in psychology, sociology, linguistics, and anthropology, as well as areas of communication studies. The Journal of Communication is the flagship journal of the International Communication Association and an essential publication for all communications specialists and policy makers. The Journal of Communication concentrates on communication research, practice, policy, and theory, bringing to its readers the latest, broadest, and most important findings in the field of communication studies. Journal of Communication Inquiry (JCI) is a forward-thinking, interdisciplinary forum that explores communication and mass communication phenomena within cultural and historical perspectives. Publishing cutting-edge research and analysis, JCI emphasizes philosophical, evaluative, empirical, legal, historical and critical inquiry into relationships between mass communication and society across time and culture. Mass Communication and Society’s mission is to publish articles from a wide variety of perspectives and approaches that advance mass communication theory, especially at the societal or macrosocial level. It draws heavily from many other disciplines, including sociology, psychology, anthropology, philosophy, law, and history. Methodologically, journal articles employ qualitative and quantitative methods, survey research, ethnography, laboratory experiments, historical methods, and legal analysis. Published quarterly for the Broadcast Education Association, the Journal of Broadcasting & Electronic Media contains timely articles about new developments, trends, and research in electronic media written by academicians, researchers, and other electronic media professionals. The Journal invites submissions of original research that examine a broad range of issues concerning the electronic media, including the historical, technological, economic, legal, policy, cultural, social, and psychological dimensions. Scholarship that extends a historiography, tests theory, or that fosters innovative perspectives on topics of importance to the field, is particularly encouraged. The Journal is open to a diversity of theoretic paradigms and methodologies. Convergence is an international peer-reviewed academic journal which was set up in 1995 to address the creative, social, political and pedagogical issues raised by the advent of new media technologies. As an international research journal, it provides a forum both for monitoring and exploring developments in the field and for encouraging, publishing and promoting vital innovative research. Media, Culture & Society provides a major international, peer-reviewed forum for the presentation of research and discussion concerning the media, including the newer information and communication technologies, within their political, economic, cultural and historical contexts. It regularly engages with a wider range of issues in cultural and social analysis.